The Mitred Lever is part of the STEELWORX range by Eurospec. 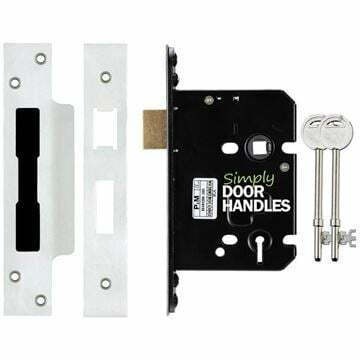 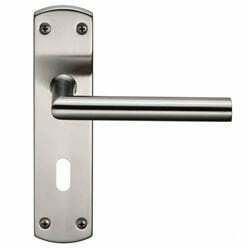 Bathroom version for locking bathroom and wc doors. 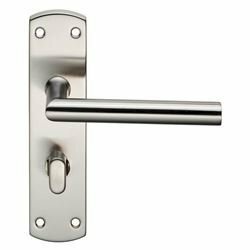 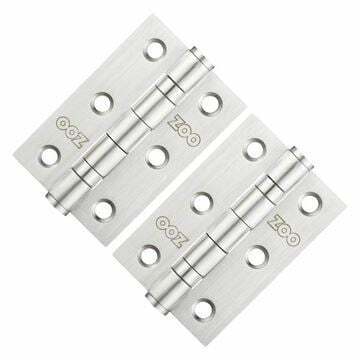 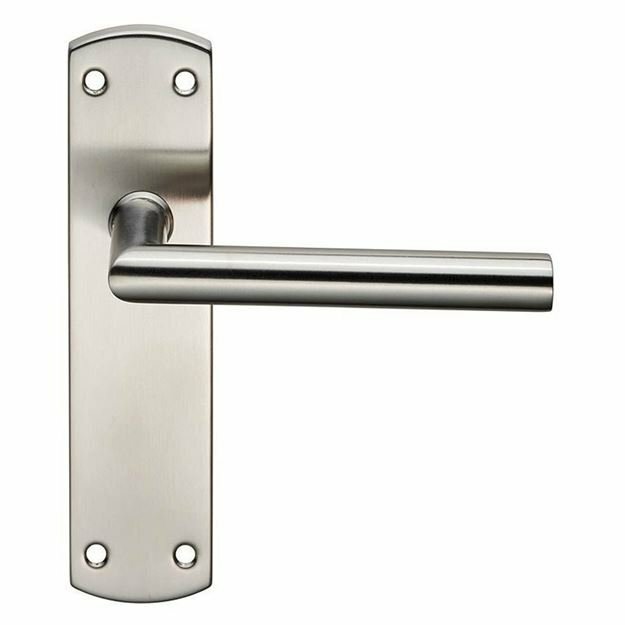 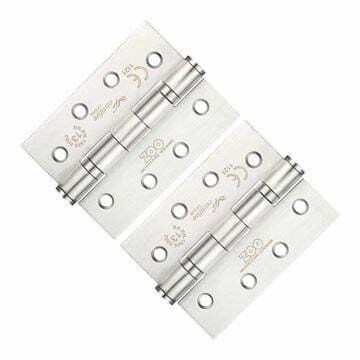 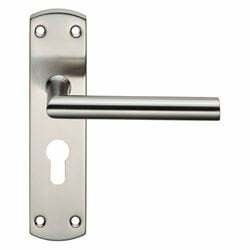 Euro cylinder locking for use with UK euro-cylinder sasklocks.